It is socialist slavery and Nazism, Fascism, & Socialism. 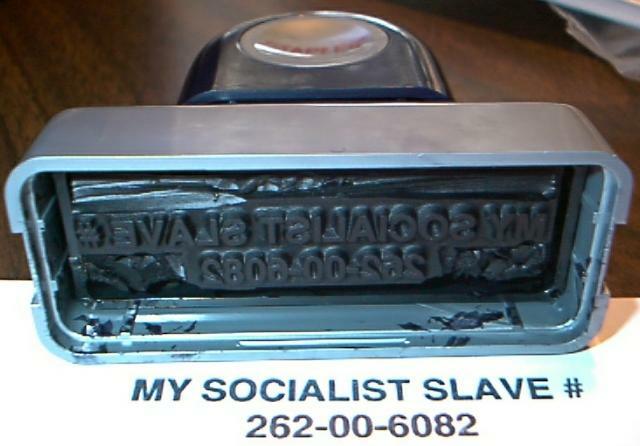 Join in nationwide protests to end car tags, social security card numbers (socialist slave cards). A new specialty car tag touts the elimination of car tags. 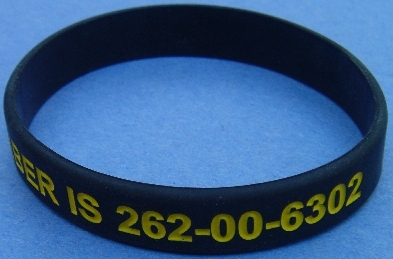 As with many specialty tags, the funds raised through the sale of the tag (below) will go to a good cause - and in this rare case, a good LIBERTARIAN cause -ending government car tags and other police-state developments. The government publicly humiliates everyone as if every car and driver is tattooed by the National Socialist German Worker’s Party. License plates are an invasion of privacy and provide socialist slave numbers (and through driver license records etc) as they help to track everyone in the police state. Another url below exposes the reality of the government’s modus operandi. Government car tags have been used by cops and criminals to select victims and to victimize out-of-towners. The number of murders, robberies, and rapes that have been aided by license plates are impossible to count. The free-market economy provides better security than the government. Anyone who wishes can voluntarily participate in private registration and marking of his vehicle in ways that do not involve the open humiliation of the owner, and the invasion of his/her privacy. It’s voluntary and flexible and respects privacy and liberty. Thanks to the free-market, transponders are available by choice, and can be disabled or turned off by owners. Transponders have turned government police into gophers (go fors) for the Onstar transponder service and other providers. Transponder commercials use actual recordings of drivers phoning transponder firms to report a stolen vehicle, and the vehicle is immediately located, still moving with the thieves inside, while the police are phoned and told where to fetch the car. Bruce Benson’s book “To Serve and Protect: Privatization and Community in Criminal Justice” states that there is much more private security than government security. Whether public officials ever try to privatize any police function, privatization is occurring, even without official comprehension. 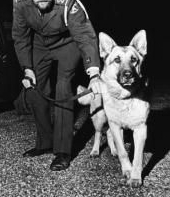 Law enforcement is one of many examples of how citizens achieve privatization without government cooperation. Consumers allocate more money to private security and resist tax increases for the public sector, and eventually demand tax cuts, as they continue to privatize on their own. Restore a libertarian heritage. Use these car tags to end car tags. Reduce government and end government license plates. 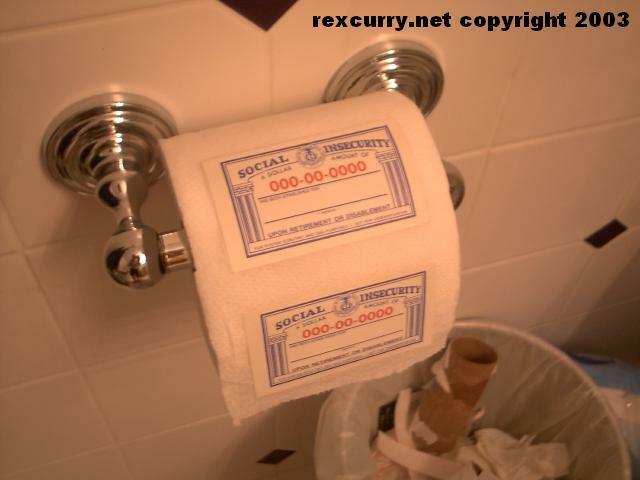 Each Photo links to another page exposing Social Security http://rexcurry.net/law%20graphics/tattoo2.jpg Social Security Tattoo fears are growing. 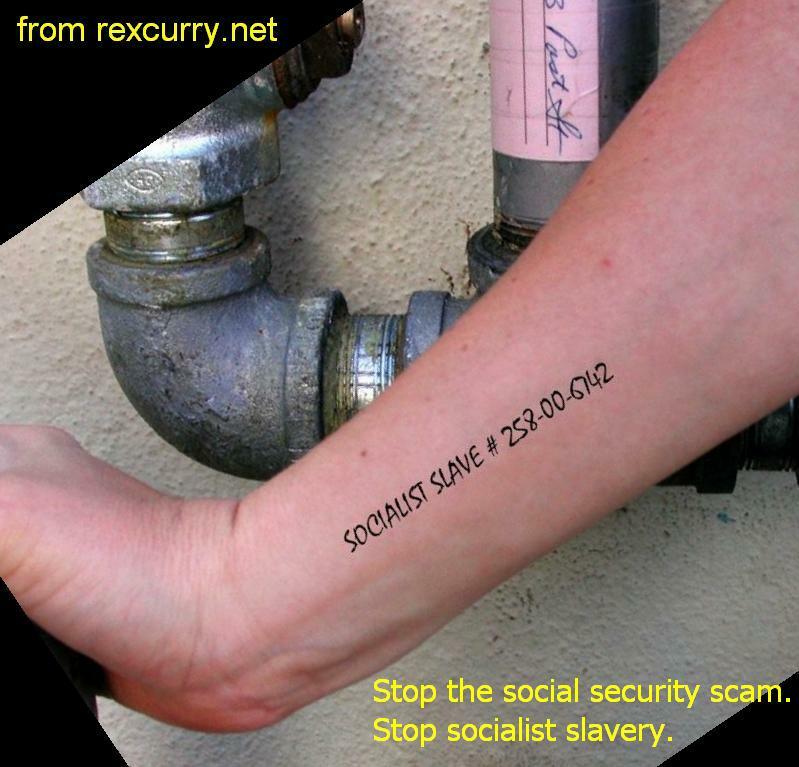 Social Security Number tattoos are shown at http://rexcurry.net/tattoos.html When will you get yours? What is your security number? Under the Department of Homeland Security's police state (DHS) the security number that is used to dictate social control is your social security number. Because of Social Security, every American is born into slavery, with numbers assigned to infants. It is an impoverishing scheme that tracks your home, workplace, income, finances, etc., for life and steals all the way, in the "SS" scheme (socialist slavery). The numbering was designed for a police state system of social security for the government by tracking every American's movements, residence, employment, jobs, income, and eventually all purchases and activities, including travel. 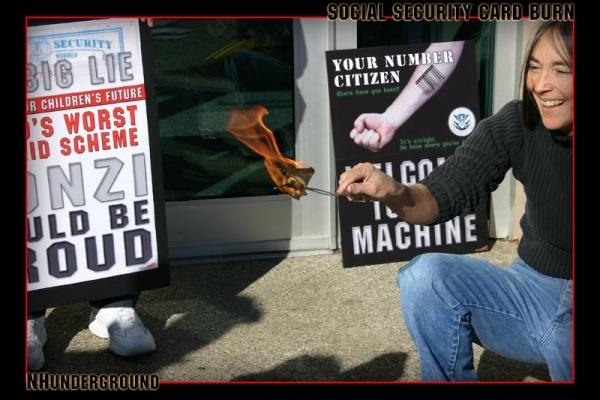 The Department of Homeland Security (DHS) imposes social security controls in the USSA through the Nazi numbering system today. 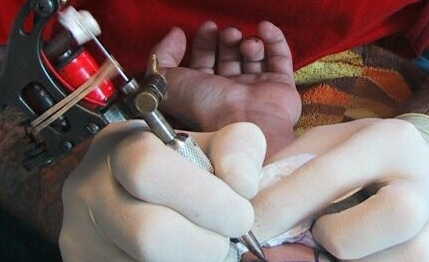 The frightening system is often used in scary Halloween costumes that use Socialist Slave tattoos. The biggest threat is ignored: Reforms will nationalize everything. If all SS taxes had been invested in stocks, then the government would own the entire economy today. Everyone is lucky that his stolen money was squandered. The biggest outrage is ignored: that Americans are numbered as infants for lifetime surveillance. The public obsesses about fine-tuning the theft and surveillance program. National numbering was imposed in 1935, as the USA followed the path of the National Socialist German Workers' Party (Nazis). The federal government was growing massively and attempting to nationalize the economy in many ways. 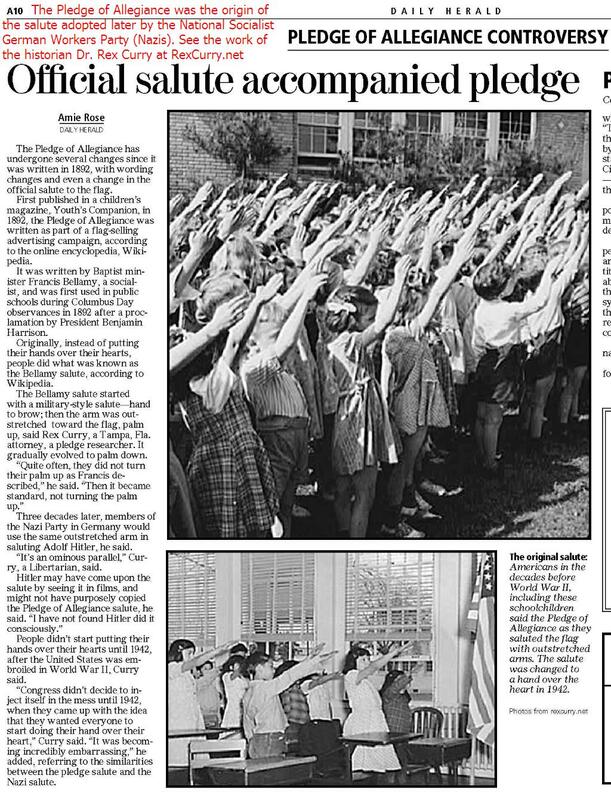 The pledge of allegiance to the USA's flag had its original straight-arm salute created by Francis Bellamy (an advocate of nationalization and a self-proclaimed national socialist in the USA) and it was the origin of the salute of the National Socialist German Workers' Party. http://rexcurry.net/pledgesalute.html Government was taking over schools and imposing segregation by law and teaching racism as official policy. Laws required daily robotic chanting of the pledge upon the ring of a government bell, like Pavlov's lapdogs of the state. After German Nazism fell, the USA's government schools continued segregation and racism, stopping in the 1960's. The USA also continued its Nazi numbering and its robotic pledge, with no stopping. Today, the USA numbers babies, and government schools demand the numbers for enrollment, and the numbers track homes, workplaces, incomes, finances, and more, for life. School laws still tout the daily pledge, a bizarre ritual shunned by every other country. 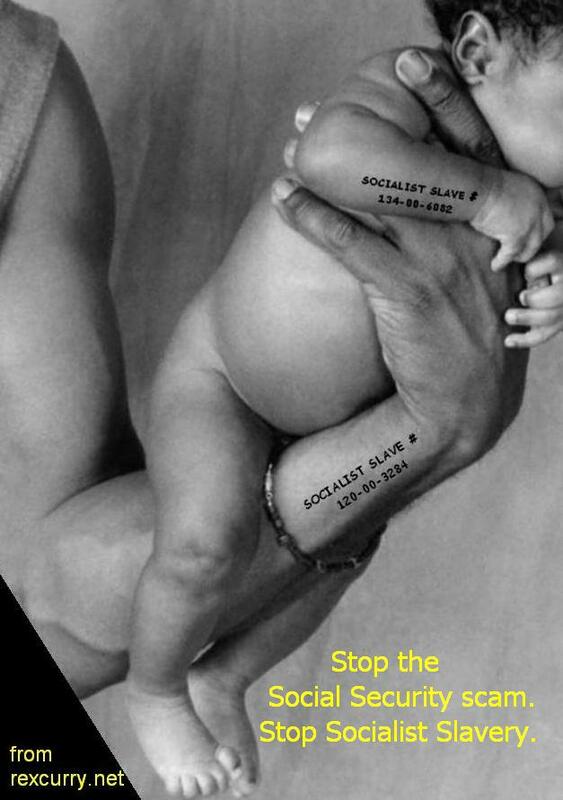 IRS laws prompt parents to apply for socialist slave numbers for newborns while they are still at the hospital. 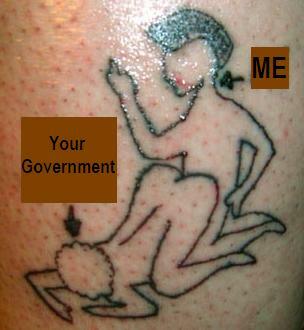 After the SSN arrives it can be tattooed right onto the new taxpaying slave. And dad can have his number tattooed at the same time! Like father, like socialist son! 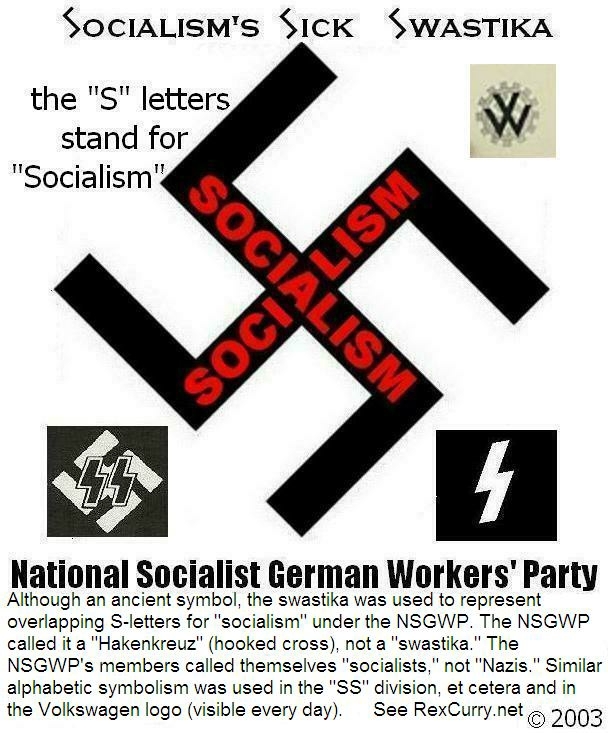 Socialist slave numbers can be tattooed in the same way that the National Socialist German Worker’s Party (Nazis) numbered and tattooed people. so apropos! There are lots of ways to be a submissive “slave” for the government! With a SSN tattoo anyone can say "I want my cut of other peoples' money!" --if there is any money left later. 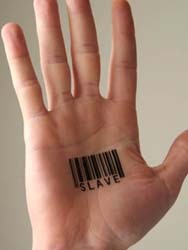 For those of you who haven’t faced reality yet, and remain tattooless, you can use the temporary Henna tattoos or body stencils to make the point in public demonstrations against socialist slavery and it’s numbers. 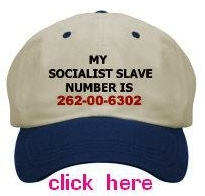 Or click here for your own socialist slave number T-shirt. Is there only one Judge in the USA who has the courage to publicly say that social security is unconstitutional? Justice Janice Rogers Brown of the California Supreme Court (and nominated to the US Court of Appeals for the DC Circuit) said "Today’s senior citizens blithely cannibalize their grandchildren because they have a right to get as much 'free' stuff as the political system will permit them to extract..."
At this time, I am the only person warning of the danger of nationalization and totalitarianism in the SS reform proposal. Even the Cato Institute, a libertarian think-tank, has been duped by propaganda. What is it about the phrase "the government will manage the investment of the funds" that some libertarians don't understand? It is not privatization, it is nationalization. It will destroy liberty quicker than school vouchers. Bush's nationalization of all industry is as lengthy, monstrous and incomprehensble as was Hillary's attempted nationalization of the medical industry. And when retirement occurs, the government proves that it owns the money by dribbling out only as much as social security would have provided, as if the plan is a perverted annuity scam. If that weren't terrorizing enough, its proponents act as if they are completely ignorant of the nationalization danger. 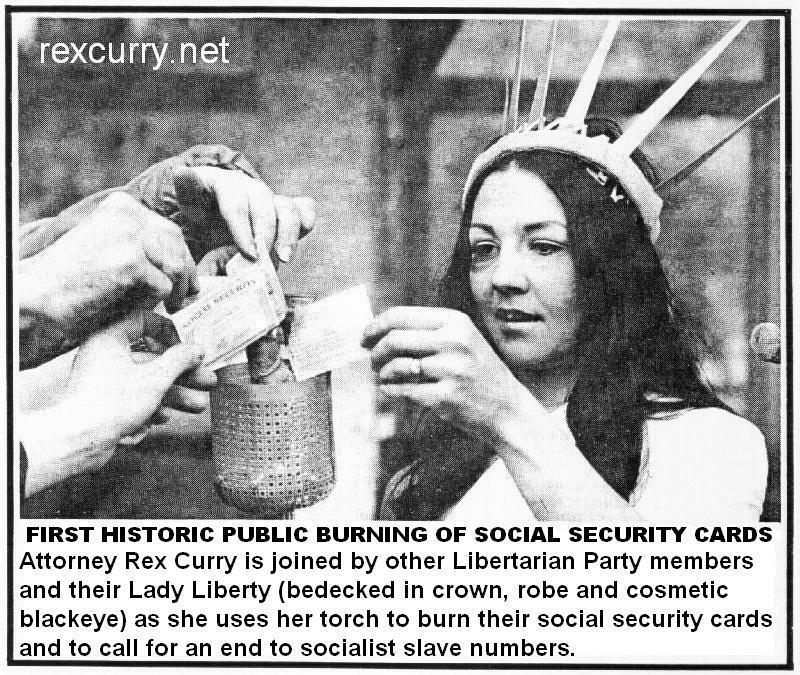 The "Burn Party" for socialist slave cards was inspired by the burning of draft cards in the 1960's. Socialist slave cards are the modern draft cards, and they are much worse. That only one public burning of SS cards has ever occurred is more proof of the capitulation of Amercians to socialism, to the police-state and to the surrender of liberty. 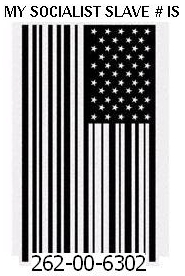 If the antidisestablishmentarianism does not end, then the USA's police state will worsen. The most widespread example of the police state in the USA is the impoverishing social security system and its socialist slavery. That is why social security numbers are known as Nazi numbers. 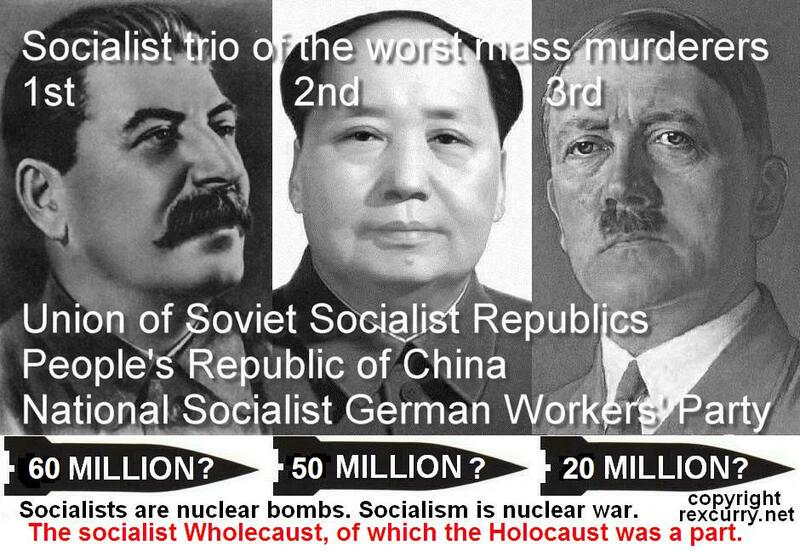 It was the same path that led to the socialist "Wholecaust" (of which the Holocaust was a part) with the socialist trio of horrid atrocities: the Union of Soviet Socialist Republics with 62 million killed; the Peoples' Republic of China, 35 million; the National Socialist German Workers' Party, 21 million. 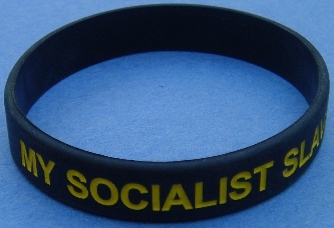 http://rexcurry.net/socialists.jpg After the National Socialist German Workers' Party slaughter, the same genocidal socialist policies continued under the U.S.S.R. and the P.R.C. Instead of being a beacon of freedom, the USA is still showing Nazism to the world. 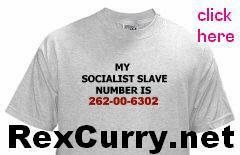 Socialist Slave T-Shirt - You're hip. So, let THEM know that YOU know what IT is. And educate the fashionless sheeple who haven't figured it out yet. Join the freedom community. Me and the people you vote for and elect!